Well March Mingle was last Thursday. 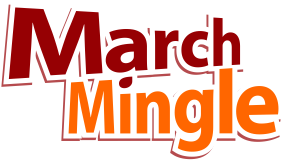 What is March Mingle and why does it matter? It’s a group of tech and startup entrepreneurs and developers who are helping to change San Diego. The event was held at Stone Brewery in Liberty Station, hosted by Phelan Riessen from Digithrive and featured booths from many local tech companies to help support the event. Sometimes I wonder what events like these are all about. After all I know most of the companies and startup CEO’s that were there. The first few people that I talked to we exchanged stories of how San Diego companies are reaching many of the big markets like Chicago and New York. Then it occurred to me that something was really happening at the event. Some were just there to “mingle,” but there were some that were there to make things happen. Bruce Bigelow as talking about DNA sequencing and mapping the Human Genome and that Life Technologies and similar companies in San Diego need bigger bandwidth to make it happen. Brant Cooper was talking about real ways to help the startup incubator ecosystem. Brant shared that he was sick of the old ways of doing things and some of the ways he is moving forward without them (look for a future post). And finally a group of startup entrepreneurs that are making plans to build a website that encourages all of the San Diego tech startups to start using each other’s products. I love this one. It is one of the things that Silicon Valley does so well that San Diego MUST do. So as the talks of all the amazing things moving forward in the startup community wind down at March Mingle I feel like things are moving in the right direction. One thing I noticed was that San Diego has so much going on in many different sectors of technology and startups that it’s hard to get a real focus of which ones to highlight. I think the answer is to highlight them all and watch them all grow into strong parts of the San Diego economy. After all, San Diego is such a desirable place to live. All we have to do is keep building what is already started.